Ok, so the day has come: Today begins the much awaited Drupal Camp Mexico City, yay! For those that cannot make it to Mexico City, I understand understood1 we would have live streaming of at least one of the rooms, but anyway, talks will be recorded, and will be put online later on. As for the talks schedule, here you have it. Yes, today my workmate and I will be giving a simple introduction to having a useful basic Drupal install. Today is the tutorials / workshops / BoF / hackathon day, and Thursday and Friday will be the more traditional talks days. Several of the talks on Thursday are grouped under the SymfonyDay track and will refer to the framework that serves as a base for Drupal 8. Anyway, for the Tweetheads among the readers of this post, I understand information will flow under the #DrupalCampMX tag. I woke up to the news that, after a very short tenure, Brendan Eich steps down as the Mozilla CEO. Why? Because of the community outcry. Because some years ago, Eich pubilcly supported (and donated funds) the ban of any kind of marriages in California that were not between a man and a woman. The world has advanced enormously in this regard in the last years/decades, and so many individuals and organizations opposed and announced they would boycott Mozilla that either him or Mozilla could not stand the pressure anymore. So, of course, it's sad the person had to resign. Many people talked about freedom of speech, freedom of harbouring his own personal opinion — But when it comes to the rights of minorities, particularly of minorities that have suffered such hard prejudice and abuse as the gay, lesbian and all the other non-orthodox sexual- and gender- orientations, righting a wrong is much more important than preserving an individual's freedom of opinion. Besides, it's not just thinking or talking about something — The concrete proposition Eich supported (and eventually made him resign) is about bringing the life of thousands of people to a hellish state of uncertainty, and going back to not having a way for the society to legally recognize their way of being, their love, their lifes. But anyway — What prompts me into writing this is that, once again, the Free Software (and related denominations) community has shown that a set of core values, seemingly shared by a very large amount of our own people with no coordination or correlation with what conforms us as a community (and thus, being emergent traits), are strong enough to create a critical mass, to achieve cohesion. And that ours is not just a technical community of people writing software at all layers of the stack, but –first and foremost– is a group of social activists, committed to making the world better. The Mozilla Manifesto discusses individual liberty in the context of use of the internet, not in a wider social context. Brendan's appointment was very much in line with the explicit aims of both the Foundation and the Corporation - whatever his views on marriage equality, nobody has seriously argued about his commitment to improving internet freedom. So, from that perspective, he should have been a fine choice. But that ignores the effect on the wider community. People don't attach themselves to communities merely because of explicitly stated goals - they do so because they feel that the community is aligned with their overall aims. The Mozilla community is one of the most diverse in free software, at least in part because Mozilla's stated goals and behaviour are fairly inspirational. People who identify themselves with other movements backing individual liberties are likely to identify with Mozilla. So, unsurprisingly, there's a large number of socially progressive individuals (LGBT or otherwise) in the Mozilla community, both inside and outside the Corporation. A CEO who's donated money to strip rights from a set of humans will not be trusted by many who believe that all humans should have those rights. It's not just limited to individuals directly affected by his actions - if someone's shown that they're willing to strip rights from another minority for political or religious reasons, what's to stop them attempting to do the same to you? Even if you personally feel safe, do you trust someone who's willing to do that to your friends? In a community that's made up of many who are either LGBT or identify themselves as allies, that loss of trust is inevitably going to cause community discomfort. We are organizing a DrupalCamp in Mexico City! 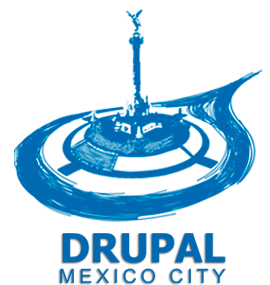 As a Drupal user, I have so far attended two DrupalCamps (one in Guadalajara, Mexico, and one in Guatemala, Guatemala). They are –as Free Software conferences usually are– great, informal settings where many like-minded users and developers meet and exchange all kinds of contacts, information, and have a good time. This year, I am a (minor) part of the organizing team. 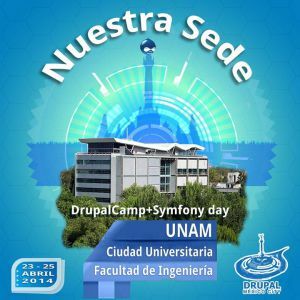 DrupalCamp will be held in Torre de Ingeniería, UNAM — Just by Facultad de Ingeniería, where I teach. A modern, beautiful building in Ciudad Universitaria. So, who is this for? You can go look at the accepted sessions, you will find there is a lot of ground. Starting from the very introduction to how Drupal is structured and some tips on how to work with it (delivered by yours truly), through workflows for specific needs, to strong development-oriented talks. The talks are structured along four tracks: "Training", "Theming", "Development", "Business" and "SymfonyDay". Drupal is a fast-evolving Free Software project. Most users are currently using versions 6 and 7, which are as different between each other as day and night... But the upcoming Drupal 8 brings even greater changes. One of the most interesting changes I can see is that Drupal will now be based on a full MVC framework, Symfony. One of the days of our DrupalCamp will be devoted to Symfony (dubbed the Symfony Day). ...And... Again, just look at the list of talks. You will find a great amount of speakers interested in coming here. Not just from Mexico City. Not just from Mexico. Not just from Latin America. I must say I am personally impressed. Of course, as with any volunteer-run conferences: We are still looking for sponsors. We believe being a DrupalCamp sponsor will greatly increase your brand visibility in the community you want to work with. There are still a lot of expenses to cover to make this into all that we want. And surely, you want to be a part of this great project. There are many sponsor levels — Surely you can be part of it! So a good friend of mine talked about something in the debian-private mailing list. And we should not disclose that something outside such a sensible space without his approval. But Jakub is right. Once the discussion goes over to only messages talking about non-private stuff, the discussion should be moved to a non-private area. After all, we will not hide problems yada yada, right? Or don't use a mouse. When I started getting shoulder strain from using a mouse too much, I switched to an Adesso touchpad keyboard and was very happy with the positive outcome. I'm a touch (that's punny) less efficient with the touchpad compared to a mouse, but the lack of permanent injury and ongoing pain is worth it. Right. I also have this keyboard (same brand even, different model). The keyboard is not that good (keys are not as smooth as in my previous, stock-Dell keyboard), but not having to move my right hand just to feed the rodent has made my back way way happier. I even feel better using a trackpad than a mouse (mabye because I use too much my netbook?). Luca, just out of curiosity: Did you ever manage to recognize the keyboard under the Synaptics driver, or to get it running under ChordMiddle or Emulate3Buttons? I had to fall to a ugly hack, mapping the "XF86Search" key to the middle button by telling my window manager (i3) to "bindsym X86Search exec xdotool click 2". 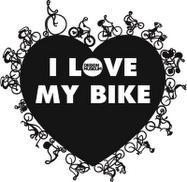 My classifications remain contributed. Do as you will with my bits of this message. Trying to get Blender to run in the CuBox-i (armhf): Help debugging Python! As I posted some weeks ago, I have been playing with my CuBox-i4Pro, a gorgeous little ARM machine by SolidRun, built around an iMX6 system-on-a-chip. My first stabs at using it resulted in my previous post on how to get a base, almost-clean Debian distribution to run (Almost? Yes, the kernel requires some patches not yet accepted upstream, so I'm still running with a patched 3.0.35-8 kernel). After writing this step by step instructions, I followed them and built images ready to dd to a SD card and start running (available at my people.debian.org space. Now, what to do with this little machine? My version is by no means a limited box: 4 ARM cores, 2GB RAM make a quite decent box. In my case, this little machine will most likely be a home storage server with little innovation. However, the little guy is a power server, at only 3W consumption. I wanted to test its capabilities to do some number crunching and aid some of my friends — The obvious candidate is building a Blender render farm. Right, the machines might be quite underpowered, but they are cheap (and look gorgeous! ), so at least it's worth playing a bit! Just as a data point, running on an old hard disk (and not on my very slow SD card), the little machine was able to compile the Blender sources into a Debian package in 89m13.537s, that is, 5353 seconds. According to the Debian build logs (yes, for a different version, I tried with the version in Wheezy and in a clean Wheezy system), the time it took to build on some other architectures' build daemons was 1886s on i386, 1098s on PowerPC, 2003s on AMD64, 11513s on MIPS and 27721 on ARMHF. That means, my little machine is quite slower than desktop systems, but not unbearably so. So... Dear lazyweb: Any pointers on where to go on from here? Pushing keyring updates. Let us bury your old 1024D key! I have just pushed our pseudo-monthly batch of keyring updates to Debian. I am happy to inform you that, while the situation described in Clint Adams' interesting assessment of the state of the Debian keyring (and the quite constructive conversation that followed) still holds, and we still have way too many weak (1024D) keys in the Debian keyring, we got a noticeable effect as a result of said thread: 20 key upgrade requests in somewhat over a one week period! (mostly from DDs, with two from DMs IIRC). As keyring maintainers, we no longer consider 1024D keys to be trustable. We are not yet mass-removing them, because we don't want to hamper the project's work, but we definitively will start being more aggressively deprecating their use. 1024D keys should be seen as brute-force vulnerable nowadays. Please do migrate away from them into stronger keys (4096R recommended) as soon as possible. If you have a key with not-so-many active DD signatures (with not-so-many ≥ 2) waiting to get it more signed, stop waiting and request the key replacement. If you do not yet have a 4096R key, create a new one as soon as possible and get some signatures on it. Once ≥2 DDs have signed it, please request us to replace your old key. If you cannot get to meet two DDs in person, please talk to us and we will find out what to do. For those of you who didn't yet know it: My mother is a painter. A serious, professional, respected painter. But she sometimes goes to the funny side as well — Of course, with all due professionalism! So, she gave us this great gift: She took one of our pictures from DebConf12 (from the "Conference Dinner" night), and painted it. Real size even! So, next time you come to our house, even if we are not around to greet you, we will be glad to welcome you to the Residence! I am not (yet?) reporting this as a bug as this happened with a several days old session open, and just while I was upgrading my Sid system, after a long time without doing so (probably since before the vacations started... In December 2013). But I cannot avoid sharing this interesting screenshot. Formally, today is my first day as a student on a formal, scholarized institution — Basically for the first time in almost twenty years! Yes, those that know me know that I aspire to live the life of academia. I have worked at public universities for almost all of my adult life (between 1997 and 1999 I worked at a local ISP and at a private school), and have had a minor academic position («Técnico Académico») for almost ten years. And not having a proper degree limited me from pursuing anything further. Then, in early 2010 I presented the written exam. By late 2010, the corresponding oral exam. That allowed me to get my formal diploma in December 2010. By the end of 2011, I requested to be a teacher in the Engineering Faculty of UNAM, and started teaching Operating Systems a year ago, in January 2012. So, a good advance in the last few years... But I know that if I just sit here, I won't be able to advance my position towards really entering the Sacred Halls of Academia. And there are some rituals I have to comply with. One of those rituals is... Devoting some long time to studying under the formal structures. Ok, so I'm finally a postgraduate student — I have enrolled in Especialidad en Seguridad Informática y Tecnologías de la Información, a short (one year) postgraduate program in ESIME Culhuacán, of Instituto Politécnico Nacional (a small campus of Mexico's second-largest university). Now, there has to be a downside to picking up this path: Of course, my free time will be harshly reduced. I have reduced my Debian involvement in the last year, as I devoted a huge chunk of my time to teaching and book-writing... This year... We shall see what happens. I can for now only confirm what I have said publicly but inside our team only: I have requested to my peers and to our DPL to step down as a DebConf chair. I love organizing DebConf, but I don't want to be formally committed to a position I just cannot fulfill as I did when I started with it. As for package maintenance, by far most of my packges are team maintained, and those that are not are relatively easy to keep track of. And of course, I'll keep an eye on my keyring-maint duties as well — Will even try to link that work with what I do at school! Anyway, lets see what comes now! Packt Publishing sent me Krzysztof Nikiński's «Instant Haml» to do a short blog review... Thing is, and those who read me know, I cannot write short reviews ;-) So lets see how this goes. First, as for the format this book follows and the series it fits in: They are very short books. I was the tech reviewer for their «Instant Debian – Build a Web Server», and when I opened it for the first time, I thought I had received only the first chapter. This series' motto is Short | Fast | Focused — so, yes, the books are ~50 pages long, with ample margins and many big screenshots. I told the editors I was quite unsure about the value this kind of publications add, as they are very similar to online tutorials, but given they have so many books in this series (printed and electronic), there must be a market for them. They surely know their business better than me! I am a long-time Haml convert/fan; I packaged its Ruby implementation for Debian (and should update it soon :-/ as new versions have appeared), the corresponding Emacs Lisp mode, and I use it for basically all of my static HTML sites and Ruby-based Web systems. Haml is a great templating language, meant to make dynamic HTML generation leaner and easier. It is a clean and elegant technology, and can clearly sell itself. And the project webpage has very good documentation, ranging from a short tutorial and a full API documentation for people to contribute to the project. The first part of this book, of course, covers the "why is Haml so great?" part, presenting the basic equivalences with HTML. In my opinion, the book could be structured a bit differently and would generate a stronger following. Why? Because, even given that Haml is greatly benefited from its Ruby integration and has many hooks to be tightly integrated in a Rails workflow, it can also be used by people who don't want to do Ruby. I have some static websites that are just a bunch of Haml files, compiled by a very simple Makefile and calling the haml command from the shell. I think there would be some value in presenting this invocation before learning how to call it from the Gems environment (i.e. bundle install). Using Haml as a standalone tool is only presented almost as an appendix ("Using HAML outside of Rails" section). Even more so if the author presents four different static-site solutions (probably more non-programmer-friendly than my trusty Makefile). Oh, and this little section uses the (old? obsolete?) uppercase HAML notation for the project's name instead of the now-standard Haml. About the screenshots presented in this first section (and I refer mainly to the scaffolding examples), they are meant to show how easy things are, but have an important stylistic mistake: Terminals with transparency might look cool (I hate using them, but then again I'm a very boring person when it comes to my computer habits ;-) ), but transparencies have no place in a book (be it printed or e-book), as the images appear very uncrisp. In the Kindle, they just seemed dirty — Now that I'm browsing the PDF from my desktop, I see that the screenshot in "Step 1" has a photo of Earth from space behind the terminal, and even worse, in "Step 2" it is shown over a Web page detailing the installation! These elements are just distracting, and the text would be much cleaerer if it were presented typeset just as a regular code fragment. Opening many of those screenshots in the Kindle was plain useless. It is perfectly clear from this text that the author strongly prefers Sublime Text, sometimes uses TextMate, and has just heard reports that Haml has some support in Vim, Rubymine, Emacs and Coda. Of course, devoting a full page (as it is for the first case) for each editor would be out of proportion for this size of book... I just felt the imbalance too big, specially given that most editors will sport approximately the same feature set. If the Instant series is about making short books, I would expect them to be loaded with easy to follow content (as they are), but free of repetition. I felt, however, a large chunk of step 1 of the "Quick start" chapter to be repeated with the the first section of the "Top 6 features" chapter. Yes, the second one adds some depth, but very little. Still, in the later parts of this "Top 6 features" chapter, a more thorough explanation could be used for the Filters, Multiline attributes/code/strings and helpers and extensions sections. It seems the author was on a hurry trying to get it finished, as it is barely explained — Explaining a bit more deeply would surely benefit readers. Reading my review, I'm mostly talking about negative issues. IMO, the book is not excellent, but it is clearly not bad. Specially given it fits very well the format for which it was designed. There are many items that could be fixed, and I hope some of them can be fixed (i.e. the screenshots) before the book goes to print — If I understand Packt's page correctly, it is currently only available as ebook, contrary to most of the Instant series' titles. Are you in Mexico City, or do you plan to be next Wednesday (December 11)? Are you interested in video edition? In Free Software? I will have the pleasure to host at home the great Chema Serralde, a good friend, and a multifacetic guru both in the technical and musical areas. He will present a workshop: Video editing from the command line. I asked Chema for an outline of his talk, but given he is a busy guy, I will basically translate the introduction he prepared for this same material in FSL Vallarta, held two weeks ago. With the help of the commandline, you can become a multimedia guru. We will edit a video using just a terminal. This skill will surprise your friends — and your couple. But the most important is that this knowledge is just an excuse to understand step by step what does a video CODEC mean, what is a FORMAT, and how video and audio editors work; by using this knowledge, you will be able to set the basis for multimedia editing, without the promises and secrets of propietary editors. How much does my file weigh and why? How to improve a video file's quality? Why cannot I read my camera's information from GNU/Linux? By the end of this workshop, we well see how some libraries help you develop your first audio and video application, what are their main APIs and uses. Everybody is welcome to come for free, no questions asked, no fees collected. I can offer coffee for all, but if you want anything else to eat/drink, you are welcome to bring it. We do require you to reserve and confirm your place (mail me to my usual mail address). We have limited space, and I must set an absolute quota of 10 participants. Some people hide their address... Mine is quite publicly known: Av. Copilco 233, just by Parque Hugo Margain, on the Northern edge of UNAM (Metro Copilco). Manipulación básica de archivos multimedia en entornos POSIX. Cajas de herramientas en software libre para procesamiento de vídeo. I have just completed an exam to try to enter a postgraduate program (I'll talk more about it once it becomes real ). The exam is administered by CENEVAL, the same evaluation agency Where I presented my graduation equivalency exam some years ago - Only this exam is for all of the postgraduate studies on many national universities and is thus basically just a psychometric test. The exam had 162 questions, all to be filled in a optical reader sheet, on five subjects: mathematical reasoning, Spanish grammar and comprehension, Project management, Computers and technology, And English reading and understanding. It was all in all a fun exam to take, mostly due to the math reasoning part. But... on the Subject I Know I am an expert, I have to complain (and intend to find a easy to do so formally). First, I spotted two absolute mistakes (and answered based on What I knew others would, but knowing the answer is wrong technically). One was a subtlety, on how and why have hard drives should be defragmented (and part of my quip is that it's an obsolete habit, but besides, the answers were all erroneous), but a second one was... just wrong. It asked on what should not be part of an "Internet link" (can only guess they meant An URL). The 4 options were valid parts of a URL - including one very seldom used by most people, but very often by many of us: the @ sign. Anyway, answered it, but my other main gripe is that most of the section was in specific use of Office software. Not only In Office-like, which would be bad enough to begin with, but on specific ways of using Mainly Excel And PowerPoint. Syntax issues, or the name of the menu under which to look for specific functions. Anyway, I will wait the stipulated 10 days for the exam to be rated, but will anyway look die a way to contact the very opaque and secretive CENEVAL. Not to demand to be better treated, but to try to correct those known mistakes and errors.